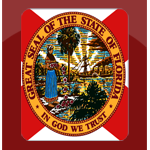 TALLAHASSEE- The Florida Supreme Court has accepted the Findings and Recommendation of the Judicial Qualifications Commission and ordered that St. Lucie County Judge Philip Yacucci be suspended without pay for 30 days, attend judicial ethics training, and receive a public reprimand. Judge Yacucci must also pay the cost of the proceedings in this inquiry. Two members of the Court believed that Judge Yacucci’s conduct warranted “at least” a 90 day suspension. The charges in this case have their genesis in a personal conflict between a local attorney and Judge Yacucci. Over the course of several years, the attorney and Judge Yacucci were involved in courtroom conflicts, verbal altercations, engaged in litigation against each other, ran against each other in the 2016 judicial race, culminating in Judge Yacucci giving a televised interview in which he stated that the attorney “…should not be a lawyer. He should not be in a courtroom. [He] is truly a disgrace as a judicial candidate and really as a human being.” Judge Yacucci was ultimately charged with failing to disqualify himself from handling this attorney’s cases, and for making inappropriate filings in response to a Writ of Prohibition filed by the attorney. The Supreme Court opinion can be found here. Photo credit: 19th Judicial Circuit.